The ultimate in privacy, peace and provenance, this masterpiece awaits her next stewards. 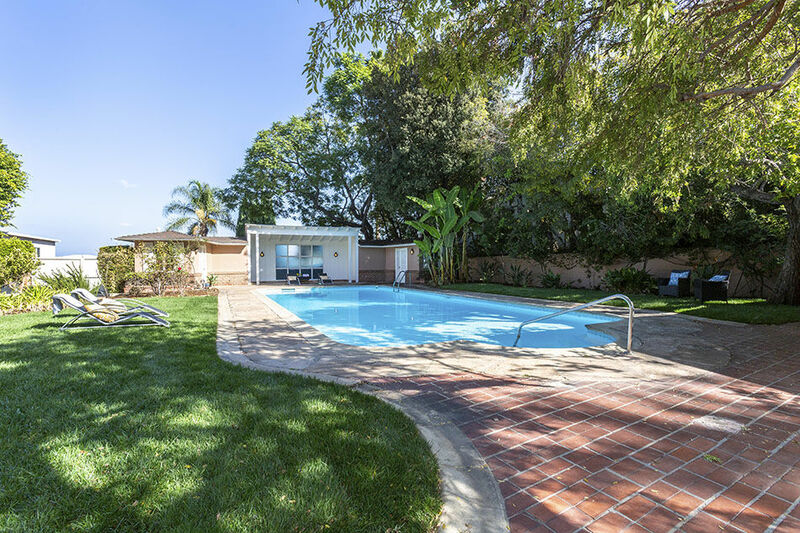 Majestic and private 1940's compound perched high in the Franklin Hills. 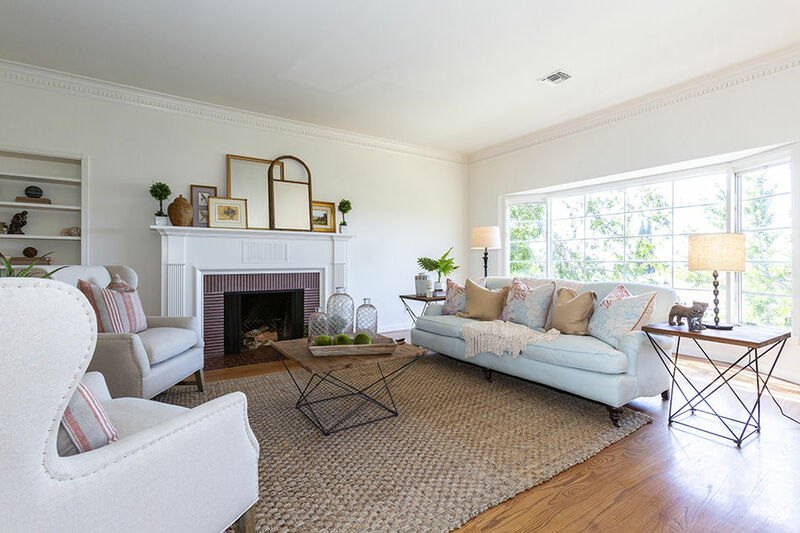 Originally designed by Arthur Hawes and tastefully remodeled with signature Hollywood Regency elan by revered architect Paul Williams in 1949, this property will make you swoon. At over 15,000-square-feet, this walled property stretches from street to street and is comprised of four-and-a-half lots -- enter via the gated driveway and pull into a detached 3-car garage, or stroll up the flagstone path at the front of the property through a garden of mature trees and flora. Off the formal entry is the light-filled great room with vaulted ceilings, brick and copper fireplace, wet bar and panoramic views of the Hollywood sign, Observatory and beyond. The North wing of the home offers a dining room, office, and vintage entertainer's kitchen with hand crafted cabinetry, double sink, breakfast room that looks out onto the patio, laundry area, powder room and sewing room. To the South is the formal living room with an additional fireplace and jetliner views, master bedroom with en suite bath, sun room, two additional bedrooms and a full bathroom. Thanks to the ingenious u-shaped layout of the home, most rooms offer abundant windows and natural light plus a view onto a leafy courtyard with vintage built-in BBQ. Beyond the patio is an expansive lawn and a sparkling pool. A pavilion with sheltered lounge area, his & hers changing rooms with showers, and added storage provide a stunning backdrop for both play and parties on a grand scale. This single level home retains much of its original charm and beauty whilst offering the opportunity to restore to your own specifications. The ultimate in privacy, peace and provenance, this masterpiece awaits her next stewards.